CARDZ TV: COUNTDOWN TO CHRISTMAS ~ CHRISTMAS GIFT TAG #1 WITH NEW CTMH "YOU ARE HERE"
COUNTDOWN TO CHRISTMAS ~ CHRISTMAS GIFT TAG #1 WITH NEW CTMH "YOU ARE HERE"
Hi guys! Welcome to the first Countdown to Christmas for 2017! Today I've made a cute, quick & easy Christmas gift tag with the NEW CTMH "You Are Here" Cricut cartridge, and the Cardz TV Stamp set "Christmas Joy". Thanks for watching! 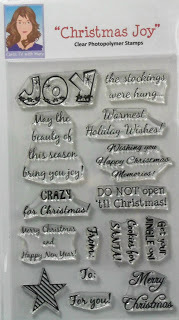 To order Cardz TV Stamps "Christmas Joy" click here! Oh Mary, what a cute and festive tag. Love it! Good Morning Miss Mary....OMG Your Christmas is Amazing and Gorgeous!! You sure came up with one Fabulous design and it was so much fun watching you create it and being able to see your ideas come together and one Magnificent Gift tag it is! Love your little scene and your polka trees are so adorable and your idea to create Rudy is too cute. You so did a Super Outstanding Spectacular job!! YOU so ROCK!! Mary, Your tag is so beautiful! Love the detail you put into it. I just love your beautiful homespun Christmas tag! Love your pretty Christmas tag! I really need this great cartridge! Thanks for sharing. OMG, this is such a cute tag! The gingham paper and polka dot trees are just so cute together! Rudolph is so adorable with the red nose :) GREAT tag arrangement! Like all the detail on this Tag from the red nose on the deer, border and tying the ribbon with twine. Especially like the woodgrain stamped image. Love your adorable tag! I have so many cricut carts that I never think to use. I don't have the CTMH ones, but I have others I need to use. I like how you tied the ribbon at the top; great idea! Turned out so cute!